Tumacs Playpen Covers are hand crafted and custom fitted to snap on and secure around your top with velcro flaps. Handcrafted and custom fitted to snap on and secure around tops with velcro flaps, each custom cover has double stitched, fully concealed lap seams that won’t leak. 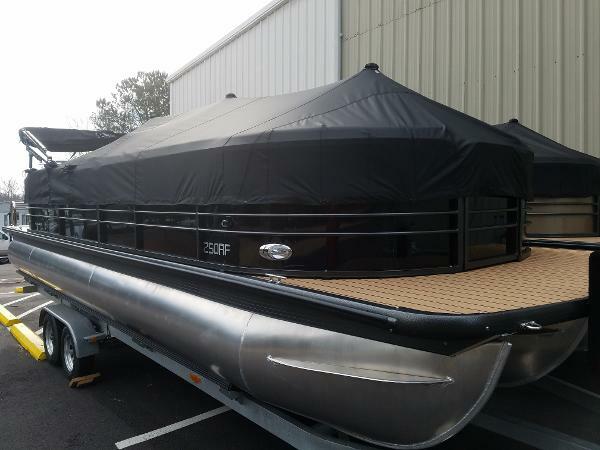 They also have double thick drop skirts, heavy duty draw cords, and nylon tie down loops that won’t scratch your boat and reinforcements sewn in at the windshield and other stress points. Tumacs Covers is proud to offer a wide variety of custom-quality covers made from the most durable marine-grade fabrics available including Sur Last, Aqualon, and Sunbrella.